Lock in a great price for ArtHouse B&B – rated 9.4 by recent guests! 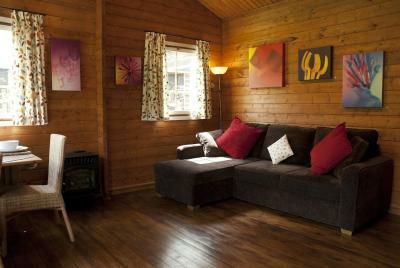 We loved our stay at the Art House Log cabin. The hosts were wonderful and made us feel very welcome. They even gave us a lift to our nearby wedding reception the breakfast such a delightful treat! 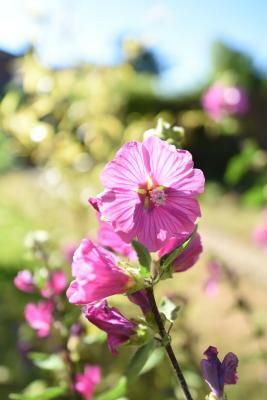 The property is very private in a very secluded area, we only saw the landlady when we checked inn and posted the keys in the main door when we left as we were left with the very nice continental breakfast on arrival. 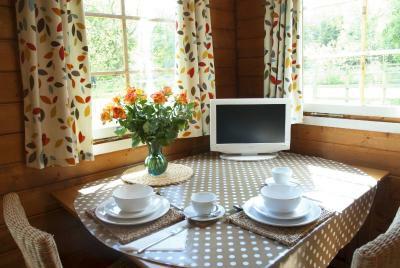 There's a fridge, toaster, kettle, coffee machine, TV and a heater and its very tastefully decorated. There's a lovely pub down the road 0.8 miles away and its only 5 mins drive to Oakham where there's different restaurants and pubs. Its also about 5 miles away from Rutland waters. Lovely location, well equipped & comfortable. Great outside seating area for star gazing or enjoying breakfast and watching the kites circle. Beautiful cabin. Very nicely decorated and maintained. very relaxed location and setting. 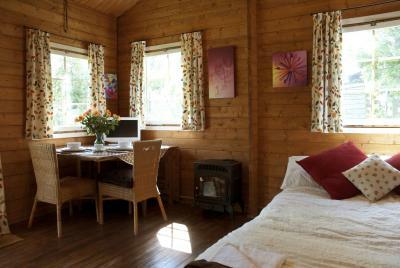 A lovely cabin with good facility's plenty of tea, coffee and fruit juices and good shower with plenty of hot water. Had a wonderful breakfast's on the patio with tonnes of healthy cereals, fruit, yogurts with fresh juices as well as pastries and toast. A very relaxing break. The owner went out of her way to meet our needs. Although small, it have everything we wanted. We especially enjoyed the buffet breakfast. 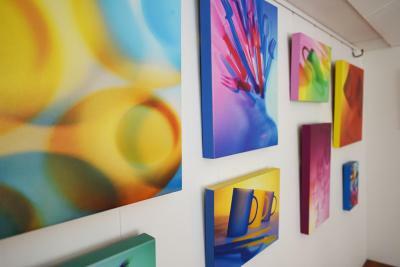 Location was great for Rutland Water and there was plenty to do. Thankyou for a lovely weekend. I loved the fact that it was tucked away , it was so calm and peaceful. 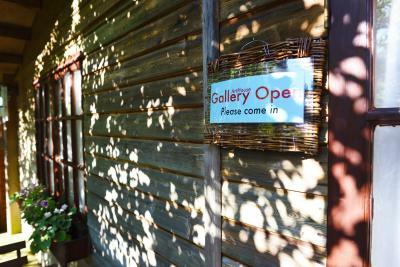 Made very welcome, Quiet country location, walking distance to Rutland water and pubs. Lovely fresh continental breakfast! 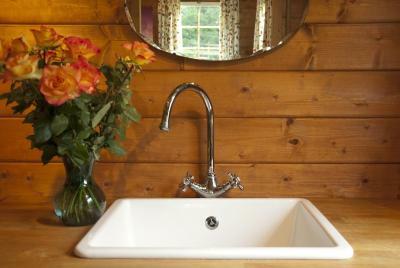 ArtHouse B&B is set in Wing, 30 mi from Nottingham and 19 mi from Leicester. Free private parking is available on site. 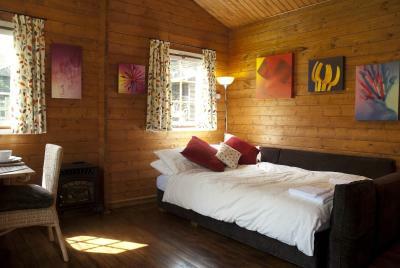 Rooms include a TV and DVD player. Certain units include a seating area for your convenience. You will find a coffee machine and a kettle in the room. Northampton is 27 mi from ArtHouse B&B, while Peterborough is 19 mi away. 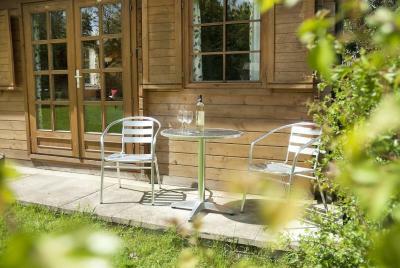 The nearest airport is East Midlands Airport, 30 mi from ArtHouse B&B. This property is also rated for the best value in Oakham! Guests are getting more for their money when compared to other properties in this city. 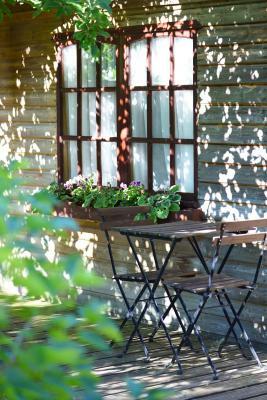 When would you like to stay at ArtHouse B&B? 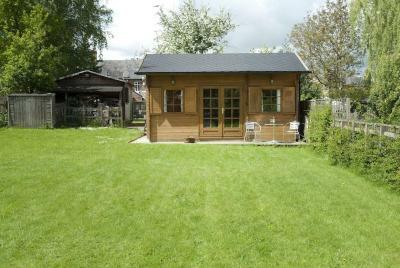 Luxury log-cabin with a large sofa bed, an en suite shower room and a private entrance with garden. 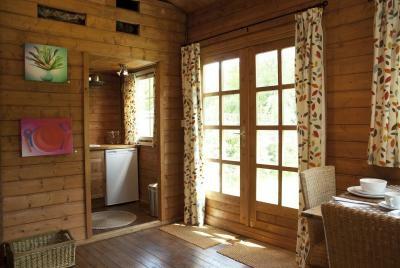 It also features a TV and DVD player, tea and coffee making facilities and a fridge. Please note, the path leading up to this log-cabin may not be suitable for guests with mobility difficulties. Set in the beautiful Rutland countryside, minutes from Rutland Water, our luxury Finnish log cabin is an ideal retreat from the pressures of modern living. 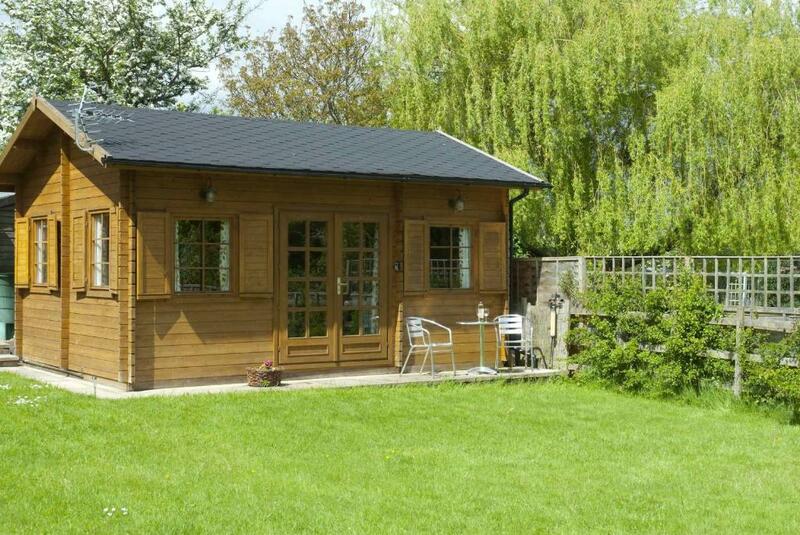 It offers cosy, comfortable self-contained accommodation with a modern naturalistic feel. A delicious continental breakfast is provided in the room for guests to help themselves to. House Rules ArtHouse B&B takes special requests – add in the next step! ArtHouse B&amp;B accepts these cards and reserves the right to temporarily hold an amount prior to arrival. ArtHouse B&B accepts these cards and reserves the right to temporarily hold an amount prior to arrival. Kindly note the accommodations is located at the end of an uneven gravel walkway with steps. Therefore it may not be suitable for guests with mobility impairment. Please note parking space for one car is available. Please inform ArtHouse B&B of your expected arrival time in advance. You can use the Special Requests box when booking, or contact the property directly using the contact details in your confirmation. everything was perfect the owner couldn't of done more for our stay . Would have been handy to have a microwave for hot porridge. The place offered complete privacy; the decor was simple but effective, the pictures on the wall were tasteful and in keeping with the location. There was plenty of hot water for showering and washing up. 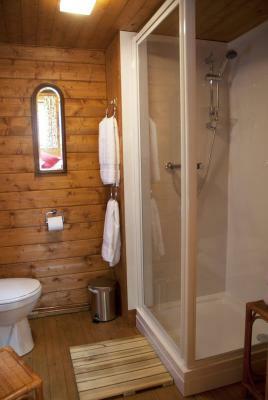 The small kitchen and separate shower / toilet were well thought out, fully utilising the limited space available. The main living area was spacious and comfortable. The ladder up to the additional bedroom was fabulous and provided a further sense of adventure. Nothing we didn’t like and we’ve booked to go again. Perfect location to get away from it all. The cabin itself is immaculate, the sofa bed is comfy and the breakfast continental style with bread, pastries, cereal, yogurt and fruit. Not warm enough, ( the weather was cold), not enough hot water to wash in the shower and we both wanted to wash as we were going to a wedding. The host appeared as we were getting changed and we felt exposed as the bathroom was not big enough to both get ready in. There was no WiFi. More instructions on how to ensure the shower doesn't run out of hot water and ensuring the heating works - minor mishaps, not enough to put me off going again!